These are playing card artworks created by a Moldavian artist, Victor (vikiusha). They are a collection of dark macabre fantasies of the author. Only several of them happened to be on this page. 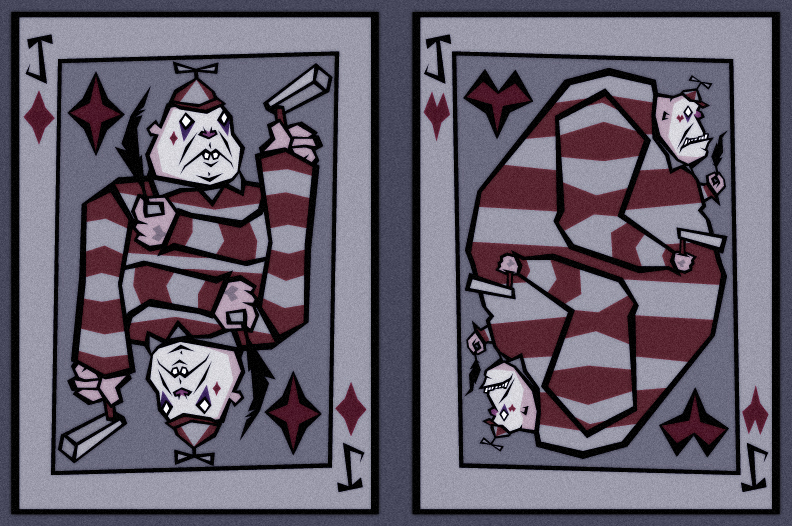 American McGee’s Alice playing cards (project) designed by InsidiousTweedle. American McGee’s Alice is a third-person action video game with psychological horror elements released for PC on October 6, 2000. The game was designed by American McGee, developed by Rogue Entertainment and published by Electronic Arts. It is an unauthorised sequel to Lewis Carroll’s Alice novels. The game features an older, more cynical and macabre incarnation of Alice. This deck is a graduate project of the Brazilian artist, Raquel Sordi. Its theme: Universal’s Classic Monsters. Graphic style: Art Nouveau and Art Deco. The author was inspired by Nosferatu’s film poster, Aubrey Beardsley’s illustration, Penguin’s The Picture of Dorian Gray book cover, Si Scott’s illustrations, Dan & Dave Smoke and Mirrors. Spades: Werefolf (Wilfred Glendon); Lisa Glendon; Dr. Yogami. Clubs: The Monster, Elizabeth, Dr. Henry Frankenstein. Diamonds: The Mummy (Imhotep), Helen Grosvenor, Frank Whemple. 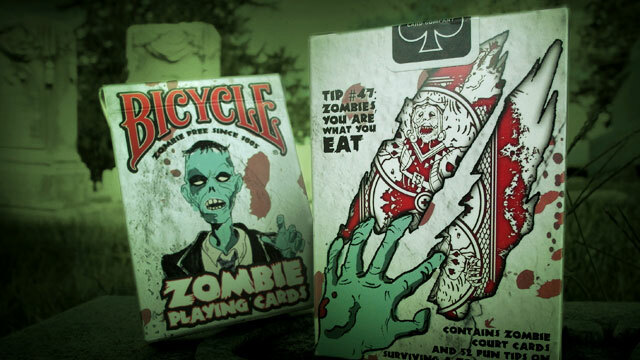 “The Zombie Deck is a totally unique deck of playing cards, both a traditional deck and a delightfully spooky set of survival tips in case of zombie attacks. Plus, gone are the usual face cards; our royals and jokers have joined the horde.